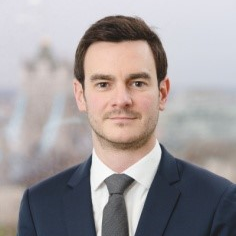 Thomas joined the LNG Shipping & Offshore team in 2014, where he has been involved in structuring and arranging various LNG shipping and offshore transactions across the globe. In the offshore debt sector, Thomas has been very active in dealing with FPSO transactions in Brazil, and in LNG shipping, he has been involved in several LNG vessel(s) financing tenders. Thomas has recently developed a greater focus on FSRU/FSU market, arranging the financing of a FSU in Middle East and leading a coordinating and structuring mandate for a FSU-to-power project in Europe. Formerly, Thomas had worked for 5 years within the SG’s leasing and asset finance team in Hong-Kong and Paris where he arranged and structured numerous transactions focusing mainly on the industrial shipping sector, but also on solar panels and rolling stocks. Prior to joining SG, Thomas had an experience of M&A at Ernst and Young, looking at French small-cap companies. Thomas holds degrees in Mathematics and in Finance from Paris-Dauphine University and is a graduate of Sciences Po Paris.